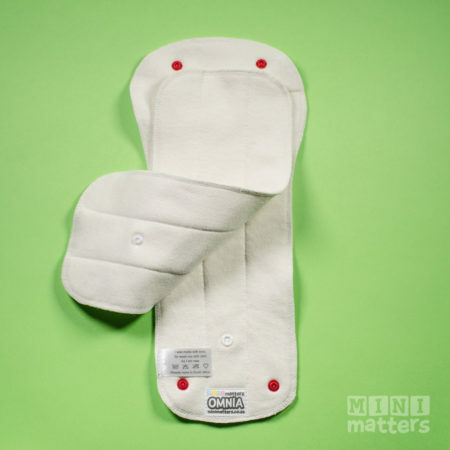 OMNIA soaker sets to be used in the Mini matters OMNIA diaper. OMNIA Soaker Sets are designed to be used with our Mini Matters OMNIA Diaper. While OMNIA diapers come with a soaker set included, it is useful to have extra sets as the shell typically dries faster than the soakers. 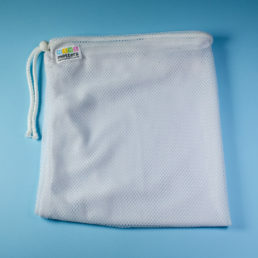 Our soaker sets consist of two organic hemp and cotton blend soakers, a standard and mini soaker, that snap together for ease of use and versatility. 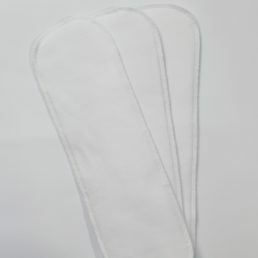 The soakers can be used individually or snapped together for heavy wetters. Please note: due to the nature of the fabric, the soaker sets will shrink and increase in absorbency to fit the diaper shell perfectly after a few washes.